Every year I seem to need to “try again” – because I can’t remember which of my snow has how much static in it! 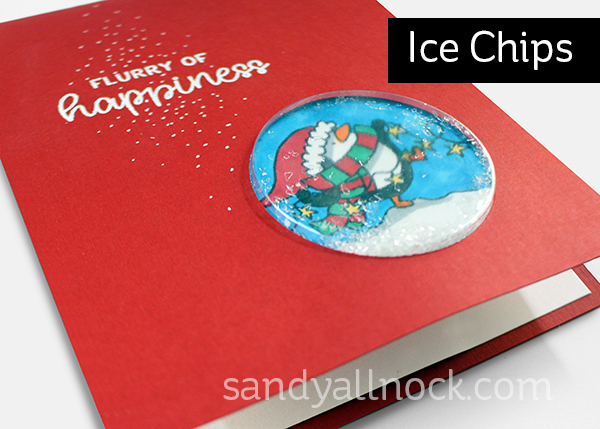 The static causes it to stick – sometimes for better or worse – to the front of a shaker card. But the new Scenearama one made me think of those old iron shaving drawing games from my childhood…anyone remember Wooly Willy? Watch the video below or click HERE to see it in HD on YouTube. Flowersoft – I couldn’t find it anywhere! Maybe they’re out of business? Bummer! These are all so great. Love these shaker cards! Thanks for sharing about the different types of snow. Wonderful penguining! I love your cards, as always! All the snow is awesome. The only Flowersoft I found was on Etsy and it was really expensive! I’m glad I have some saved. These are cute cards! Thanks for the scoop on the shaker materials. VERY helpful! Unbelieveble cute these little penguines in the snow. Love them all and the whay you finished the cards with the white dots is great,that’s an idea I will keep in mind. 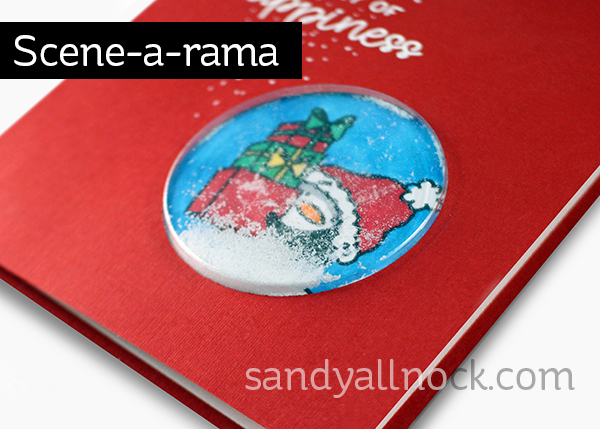 Thank you so much for showing these fun shaker cards Sandy. Your cards are adorable ! I love penguins ! Thank you for the inspiration and the comparison of the different snow’s, it’s very useful. Small and beautiful works of art. Thanks for all the information in your video. These are so fun, Sandy. 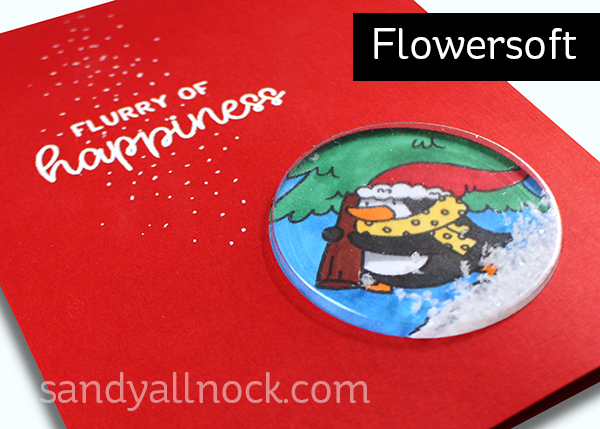 I also love that they are relatively quick and easy to make with the MFT shaker pouches and matching die. I went to Ellen Hutson to look at this stamp set – and saw several more sets of Christmas stamps featuring these guys! And the price point was a nice surprise too. 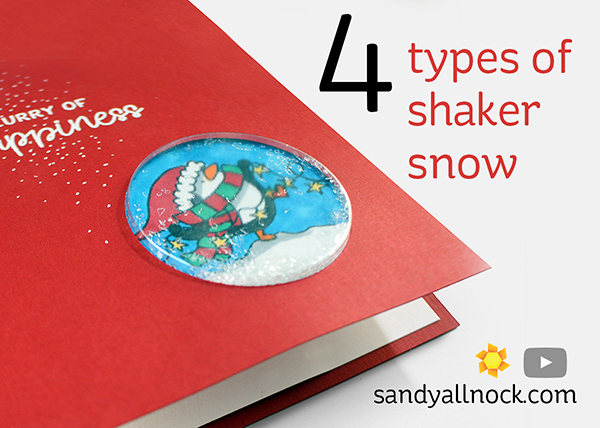 Thanks for showing all the different kinds of “snow” for the shakers – that’s something we can’t see until we use it – unless we can get to a store and shake it around. I don’t have any of those nearby, so this info is like gold to me! Thank you, again – for all you do!